Many bird species that winter in the Salish Sea are experiencing severe declines. Birds are considered to be good indicators of the health of the ecosystem. 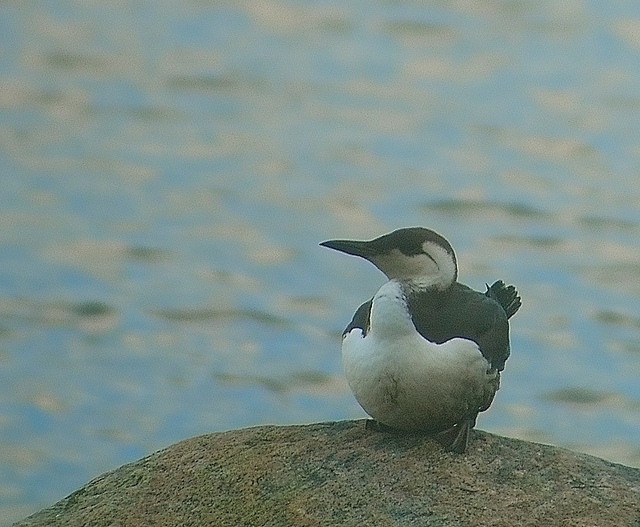 Some seabird declines may be related to declines in forage fish. The ecosystem is in flux and some species like bald eagles, rhinoceros auklets and some whales actually appear to be on the rise, potentially competing with declining species for food. 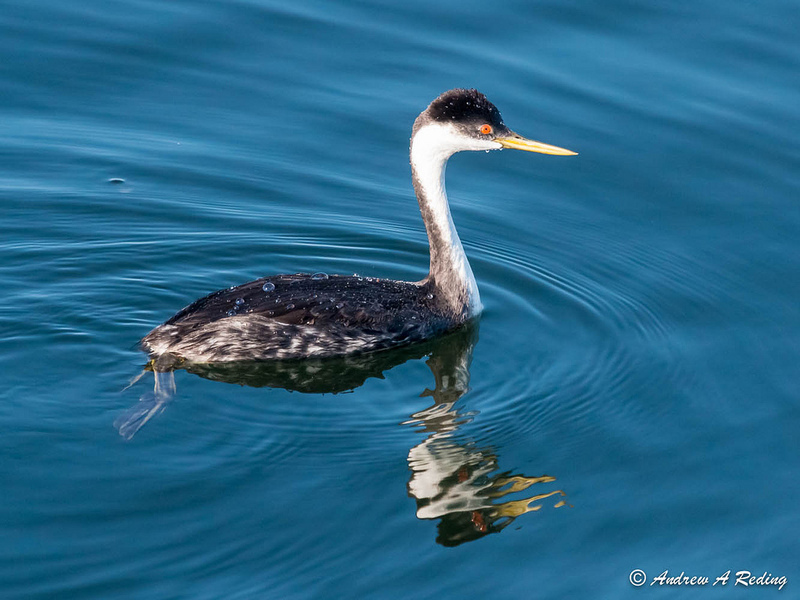 In the late summer and early fall, western grebes will flock to the marine waters of the West Coast, where they gather by the thousands to dine on a smorgasbord of small fishes. And for years, masses of wintering grebes were a fixture of the Salish Sea. The waters from the Strait of Georgia in Canada south to Puget Sound in the United States hosted roughly 70% of the species’ entire population. Now, though, surveys estimate that only 4% of the population continues to winter here—a decline of 95%. Why did all the grebes leave? Where did they go? And what does their disappearance say about the health of the ecosystem? 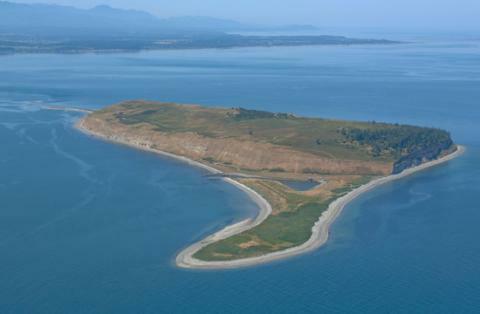 A group of scientists shared their research at the 2014 Salish Sea Ecosystem Conference. The Salish Sea is vital habitat for 172 species of birds, and with the exception of salmon, there may be no other type of species that occupies a wider variety of environments. Birds—seabirds in particular—provide a critical link between the land and the saltwater, making them of special interest to Puget Sound recovery efforts. 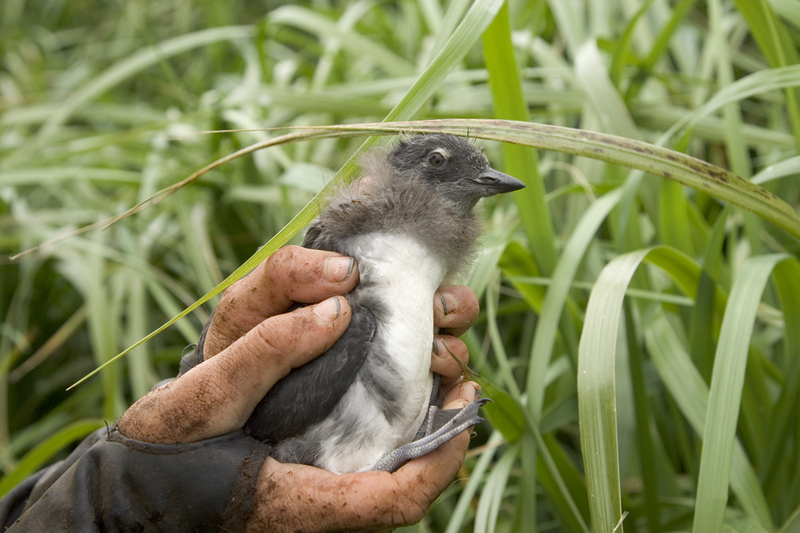 Read more about birds as indicators of ecosystem health in Puget Sound. Outwardly, then, some of the signs are troubling. Of those 172 species, close to a third are classified as species of concern in the U.S. and Canada. Managers would like to reverse that trend, but knowing where to start can be tricky. The Salish Sea’s bird species vary dramatically depending on the season, something that makes studying them a challenge. Ironically, that very challenge might also hold a clue to their declines. In the Salish Sea, when it comes to birds, timing is everything. In the summer, for example, the region is dominated by species such as common murres, Cassin’s and rhinoceros auklets, many of which breed in colonies along the outer coast. Most surveys of these summer birds show little in the way of consistent trends. 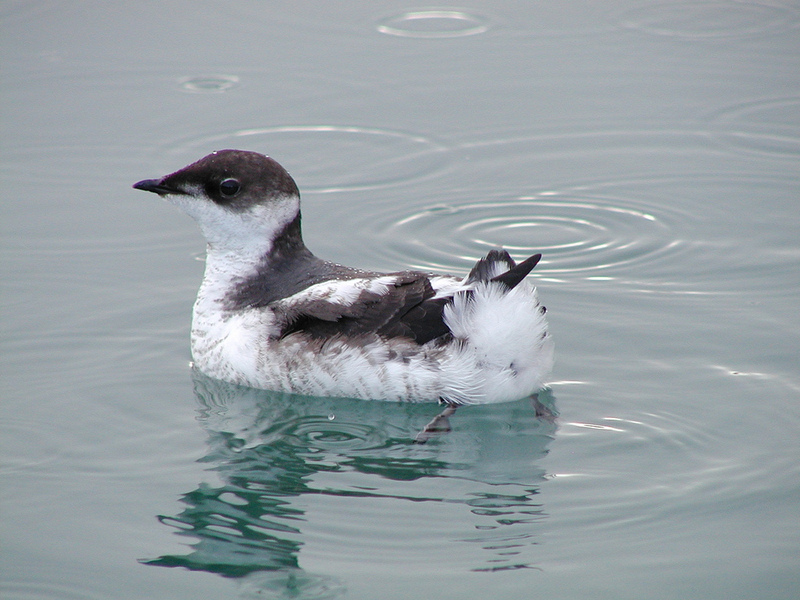 Some, like the Cassin’s auklet, are increasing in number; some, like the common murre, are fairly stable; and some, like the endangered marbled murrelet, continue to decline. Winter patterns are more consistent and clear. A number of birds that rely on the Salish Sea in winter show a plain trend: down. Scoters are declining. 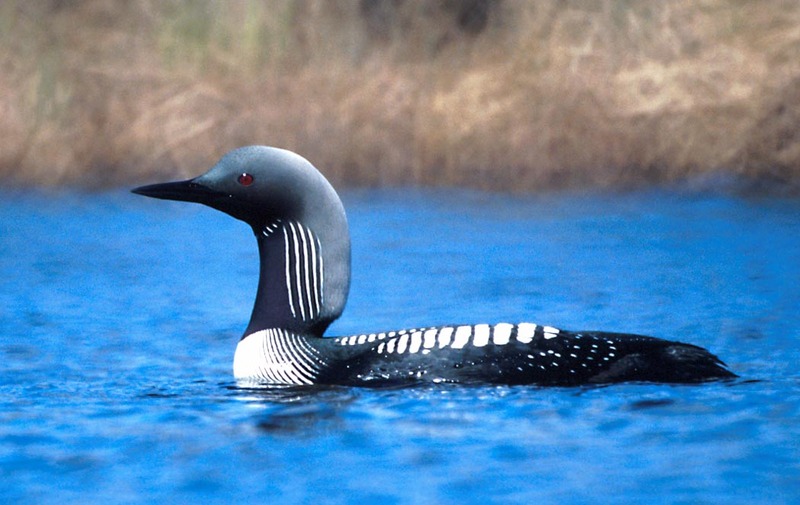 Loons are declining. And, of course, western grebes are almost entirely gone from the region. Why is that? 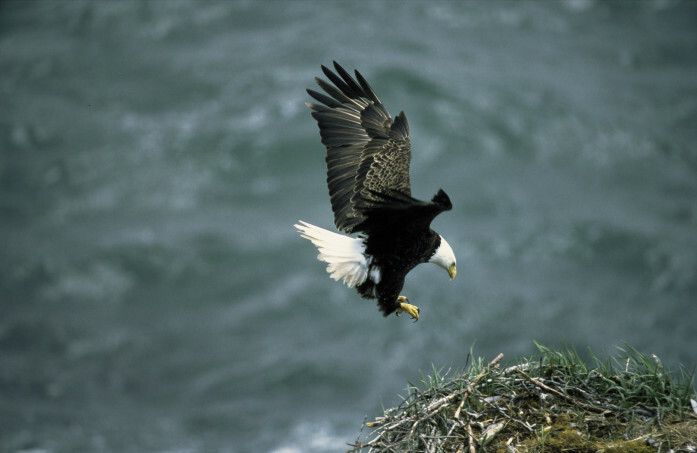 Biologists have suggested a number of reasons, ranging from top-down effects like the recovery of the predatory bald eagle, to bottom-up effects having to do with food availability. 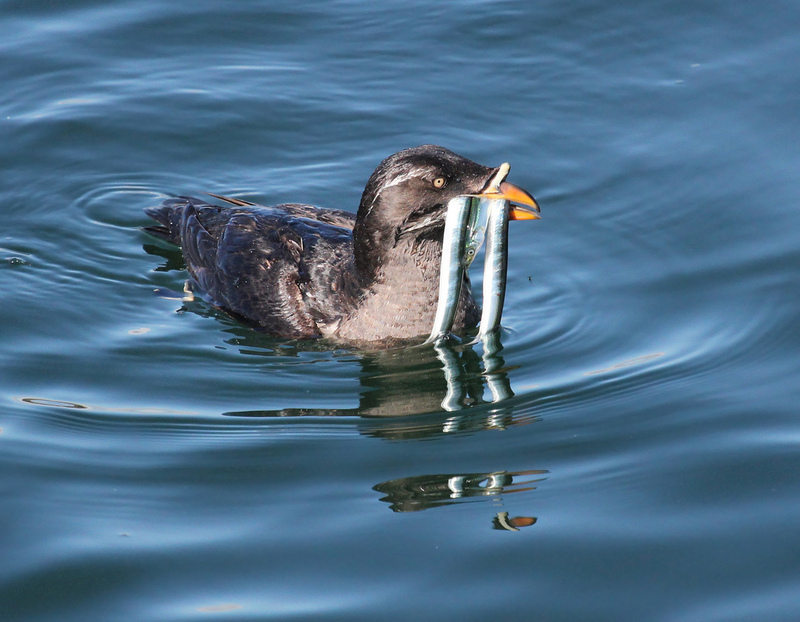 Research presented at the 2014 Salish Sea Ecosystem Conference focused on the role of forage fish, a favorite prey item of many seabirds. Oily and calorie-rich, these fish, such as sandlance, surf smelt and Pacific herring are known for their importance to the food web. Normally an abundant source of sustenance for a wide variety of predators, they have declined significantly over the decades. A study by Vilchis and others shows that wintering bird species in decline are more likely to be specialist feeders of these fish. Computer models from the study show that birds with more diverse diets, like mergansers, or flexible diets, like gulls, are less likely to decrease. This is significant because species that use the Salish Sea only in winter would be expected to be more willing to leave it when conditions become less favorable. Specialists with stronger ties—those that breed here, for example— might try to tough it out. A change in wintering grounds is a likely explanation for most of the disappearances, argues Vilchis. That appears to be the case with the western grebe. While the overall wintering population has declined by more than half since 1975, the decline means different things to different places: where the Salish Sea wintering population has dropped off almost completely—by 95%— the smaller wintering populations in southern California have increased by an astounding 300%. The grebes have simply shifted their wintering grounds. But if the story of the western grebe shows the challenges that specialists face, even those Salish Sea species that are generalists, such as the glaucous-winged gull, are not immune to the shifting fortunes of their environment. Why has egg production tailed off? 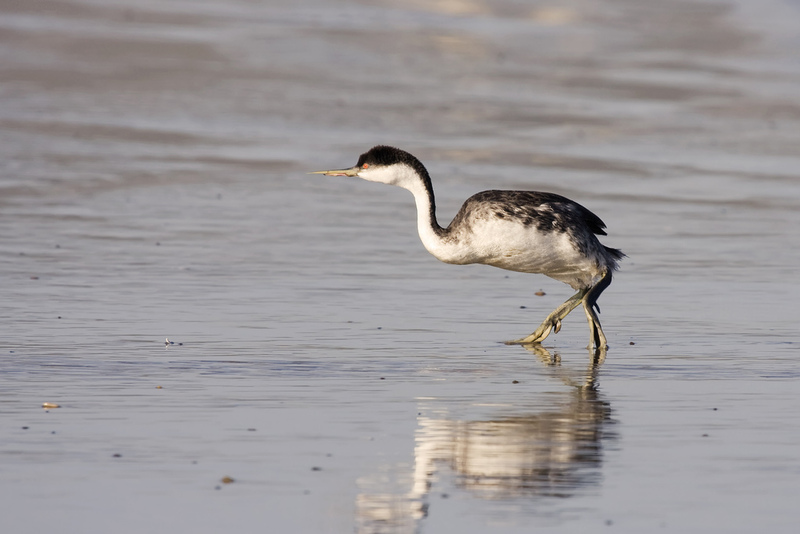 Arcese and researcher Louise Blight believe that, as with the western grebe, the culprit is food, or its absence. Stable isotope analysis by Arcese and Blight of gull head and wing feathers from museum specimens dating back to the 1860s shows that gulls are feeding at lower levels in the food web now than they were in centuries past. Like the grebes, gulls used to forage for Pacific herring. Unlike the grebes, when the herring disappeared, the gulls stayed. As generalists, they were able to shift their diet, but appear to be paying a price for that. Not all the news is dire. Despite the downturns, Arcese suspects that the Salish Sea “might be turning a corner,” after years of low overall biological productivity. Rhinoceros auklets are returning, as are humpback whales and minkes, the former having disappeared due to whaling in the early 1900s. These whales, in turn, might be competing with birds for forage fish. And gulls, for their part, might not be declining just because of food; bald eagles, whose recovery has occurred concurrently with the gull decline, might be suppressing the numbers of those birds that thrived in their absence. Estuaries and Coasts. 01/2012; 35(3). Could the Salish Sea ecosystem simply be returning to some earlier norm, with hungry whales and marauding eagles, and seabirds in between? Or do the range shifts of grebes and the declines of gulls herald a new normal? For Arcese, these are not necessarily the most helpful questions. Even if people speak in terms of balance or equilibrium, the ecological communities that may or may not be rebalancing themselves do so in an environment vastly different from what it once was. More important is to understand the health of the ecosystem in its present state, regardless of how it came to be the way it is. That means watching the seabirds, he says, something scientists will be doing intensely in coming years as they continue to measure the health of the Salish Sea. View photos of species mentioned in this story. Senior Research Scientist and Westside Research Team Leader, Washington Department of Fish and Wildlife. Dr. Pearson joined WDFW in 2000. His research is focused primarily on assessing population status and trends, diet, habitat use and quality, evaluating the effectiveness of conservation efforts, and identifying mechanisms responsible for population declines. Scott has been studying avian ecology for over 20 years. Scott’s previous research focused on evaluating the importance of various food resources to migrant and over-wintering birds, the behavioral and ecological aspects of hybridization in warblers, and identifying the habitat features important to bird reproduction and survival. After completing his postdoc at the University of Florida, Scott worked as the Westside Natural Areas Ecologist for Washington Department of Natural Resources. As an associate faculty member at the University of Washington, Scott works with graduate students and faculty to help address questions of management concern. Researcher, Scripps Institution of Oceanography. Nacho Vilchis has spent most of his life in or around the Pacific Ocean. Nacho completed his undergraduate studies at the University of San Diego, his first graduate program at the Universidad Catolica de Chile, and earned his Ph.D. from at the Scripps Institution of Oceanography in La Jolla California. He’s spent thousands of hours surveying underwater in kelp forests in California and Chile, and months at sea studying tropical and temperate seabirds in open oceans off the Hawaiian archipelago, Clipperton atoll, Malpelo Island and the Galapagos Islands. He now works as a researcher at Scripps Institution of Oceanography. Professor, Forest Renewal BC Chair in Conservation Biology, University of British Columbia. Peter Arcese is FRBC Chair of Applied Conservation Biology in the Department of Forest and Conservation Sciences and Faculty of Forestry. Peter works on the ecology and genetics of animals and plants, the persistence of small populations, and the design and management of nature reserves. Peter graduated in Zoology from the University of Washington and completed MSc and PhD degrees in Zoology at UBC. He studied as a NATO then NSERC post-doc in Serengeti National Park, Tanzania, from 1987-91 with A.R.E. Sinclair, producing the second of five co-edited books on the dynamics and conservation of the Serengeti Ecosystem and many papers on the natural history, behavior and population dynamics of African ungulates and the economics of community conservation and anti-poaching programs. Peter was Asst. Professor in the Department of Wildlife Ecology, University of Wisconsin, from 1992-98, where he won an NSF Young Investigator award. Peter`s labs have include 11 post-doctoral fellows and 28 graduate students, most of whom now teach, conduct research or work in conservation or genetics. Peter is a Fellow and former Councilor of the American Ornithologists Union and an editor of the Journal of Avian Biology. He has published over 100 research papers and books with more than 100 co-authors and currently focuses on the demography and genetics of plant and animal populations of the Pacific Coast, the efficient design of nature reserves, and the conservation and restoration of native ecosystems.